Sugr has created a new minimalist wireless speaker called Sugr Cube, that has been designed to allow users to stream online music as well as share it simultaneously with friends anywhere they might be. The Sugr Cube wireless speaker is equipped with an intuitive touch and motion based user interface allowing users to control their music with ease and removing any unsightly button from the speaker. Watch the video after the jump to learn more about the Sugr Cube project and see it in action. “Sugr Cube is designed without any buttons. Playback control is achieved with touch and motion. It feels natural when you touch on the glossy wood surface. It delivers the best music to you with perfect sound quality. Sugr Cube is designed without any cables. It streams music directly over Wi-Fi. Smartphones can be perfect remote controller. The built-in rechargeable battery lasts for 7 hours music playback. In the morning, Cube wakes you up with music. 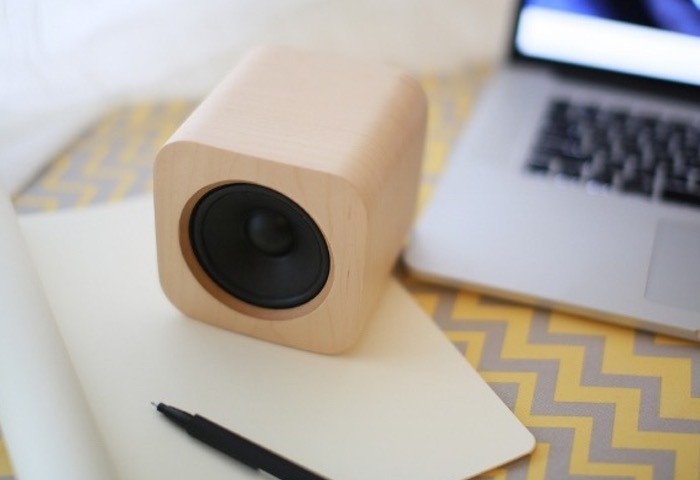 So if you think Sugr Cube wireless speaker is something your music listening and home could benefit from, visit the Kickstarter website now via the link below, to make a pledge and help Sugr Cube become a reality with pledges from $119.